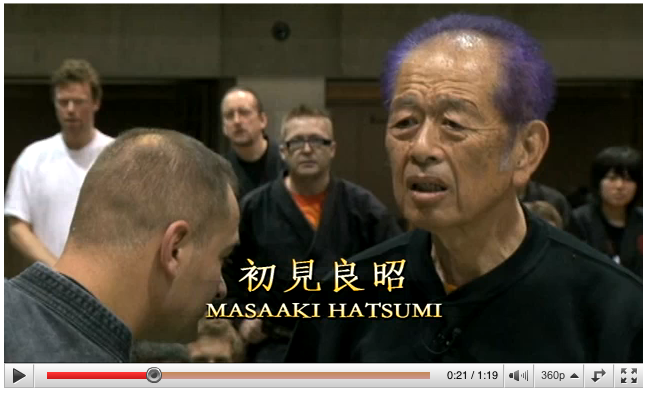 In the first article on Bujinkan Strategies of Control, I described one of the times I attacked Hatsumi Sensei. Anyone who has been Soke’s uke can tell you the same thing. What it looks like and what it feels like are very different! That was the English translation but Soke used the the words 勝負いなく shōbu inaku meaning that there is no fight or the fight disappears. Shōbu implies a contest or a match where victory or defeat is decided. Since we don’t study sports martial arts, we are not attached to either of these outcomes. いなくなる inakunaru means to disappear. Or, in a definition that will help us understand this strategy, it means “to stop being". Any fight, match, or contest requires at least two combatants. What happens if one disappears? This starts internally. You have to remove yourself from the idea of winning or losing. Or even that there is any fight to win or lose. When you step outside of that small world where the fight exists, you will find it very easy to control the situation. He told us we are not learning to exchange blows. That is what happens in sports martial arts, people exchange blows until victory or defeat is decided. Sometimes by judges! But there are no judges in real combat. Instead Hatsumi Sensei told us to play in the space. It’s not fighting. This is how we learn how to control in the space. First, by not showing that you're fighting, you disappear from the fight. This is not just a psychological trick. You can learn to physically disappear from the fight. I felt this when I tried to grab Hatsumi Sensei’s arm. He was teaching tehodoki. When I went to grab he just disappeared. He reappeared after I flew through the air and landed on my back. And second, you make the fight itself disappear. This causes the opponent to lose strength and ability to fight. Hatsumi Sensei showed me this aspect another time when I stabbed at him. The way he smiled at me, and his kiai in that moment, caused my attack to just deflate because he was not fighting me. Hatsumi Sensei said again and again that コントロール kontorooru is this year’s theme. Not fighting... just controlling. It’s not a waza or technique that can be taught. In fact there is only one clear way to learn it. That is through direct experience with Hatsumi Sensei or with a teacher who has had that experience. Then you can learn what Soke means when he tells us that he is not fighting. 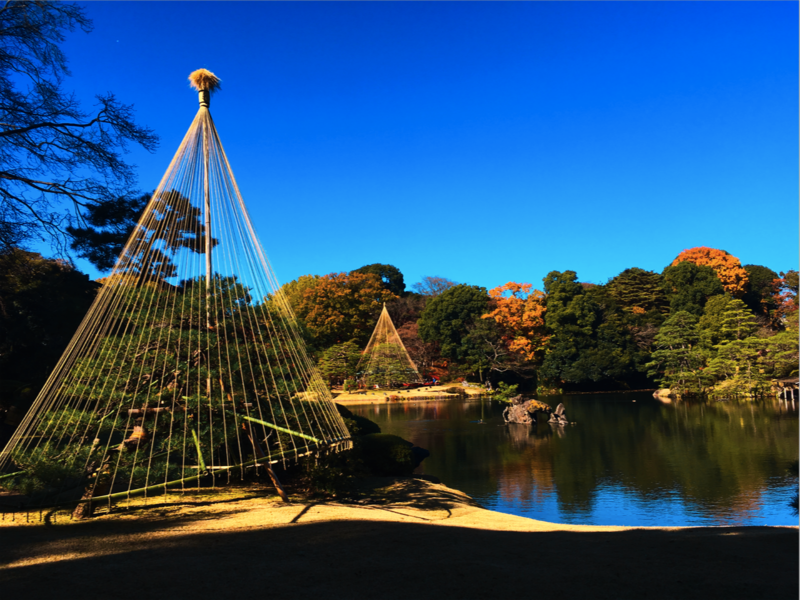 He says he is just following the path of kami (神の道 kami no michi). We would be smart to follow his lead. 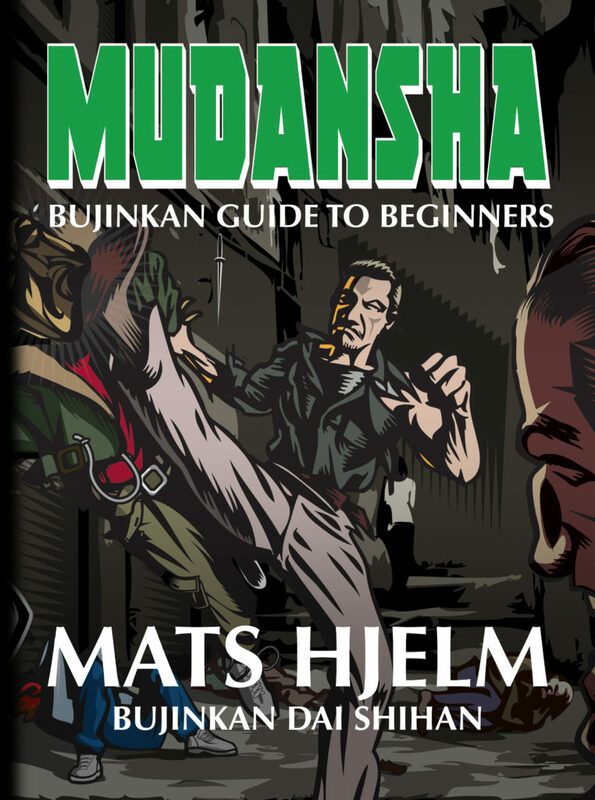 The train rattled by the Bujinkan Honbu dojo. I looked down at the knife in my hand. I looked up at Hatsumi Sensei who called me to stab at him. I plunged the knife toward him. 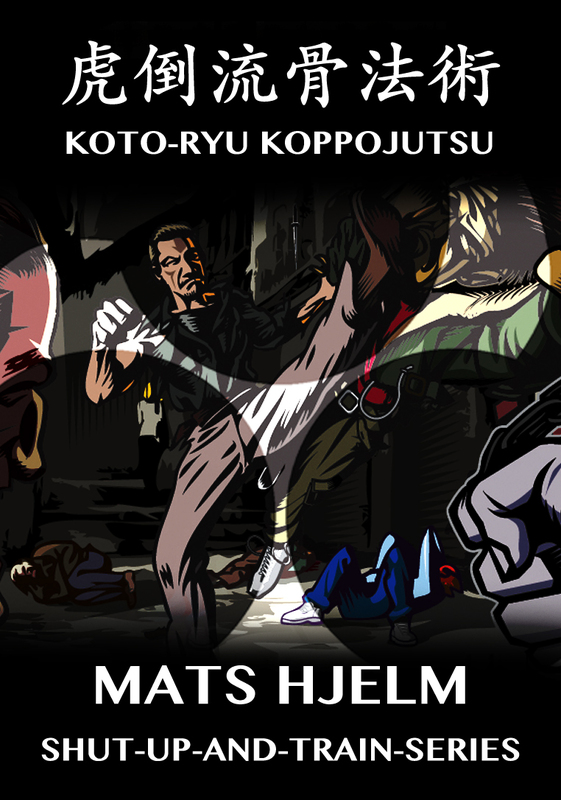 He made a kiai that came out like the creaking, groaning sound of an old iron gate. It was not a human sound. And he was in my face, laughing. I fell to the floor. He asked me to speak and share what I just felt with all of the students in the dojo. All I could say was that his smile made me drop. 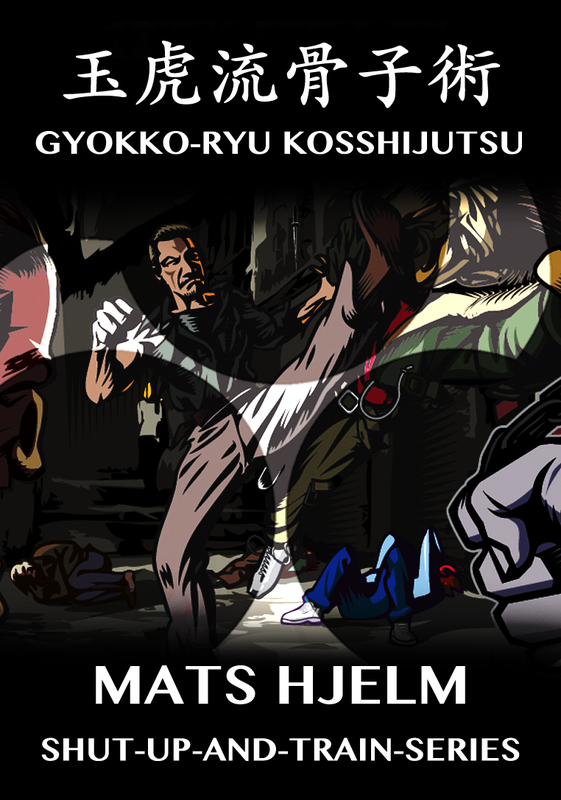 It has been difficult to write about my training with Soke during this trip. Not because I don't have anything to share. But because writing or talking about it is a distraction from the experience itself. I didn't want my own thoughts or preconceptions to intrude on the direct transmission of the teaching that Soke is giving us. So I waited. Just absorbing as much as I can. And now I feel I can begin to share. 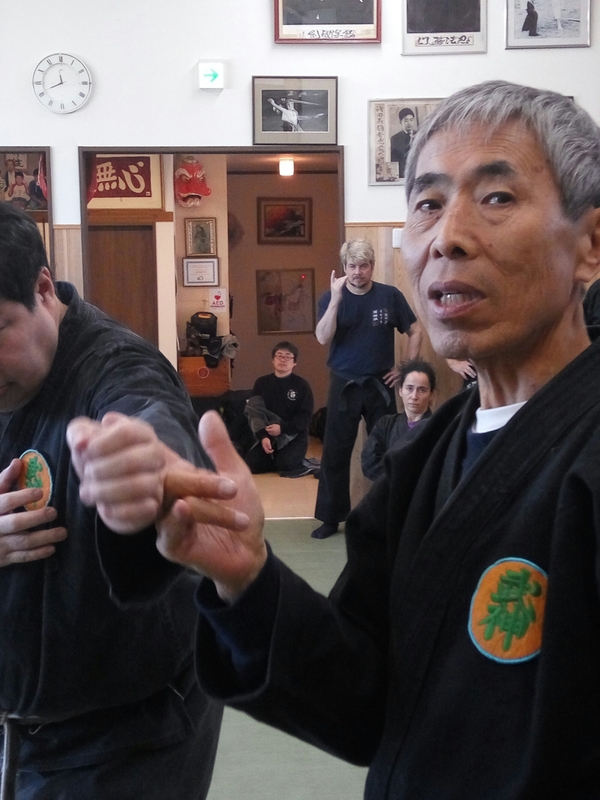 In every single class, Hatsumi Sensei tells us not to fight, but to control. In fact, he says that this is the theme that he is teaching from. He uses the 外来語 gairaigo (borrowed from English) pronunciation of the word control. In the Japanese pronunciation this becomes コントロール kontorooru. "I'm not teaching how to fight. I'm showing control. If you try to fight then it's a very low level of budo. Please learn to control." Why can't this be taught? Because it's control, not waza. 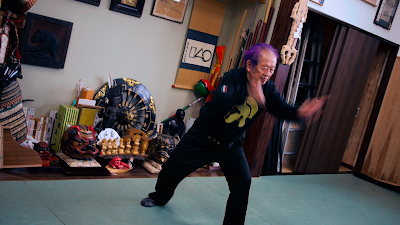 Waza (techniques) can be taught. But this is not waza. It's control. 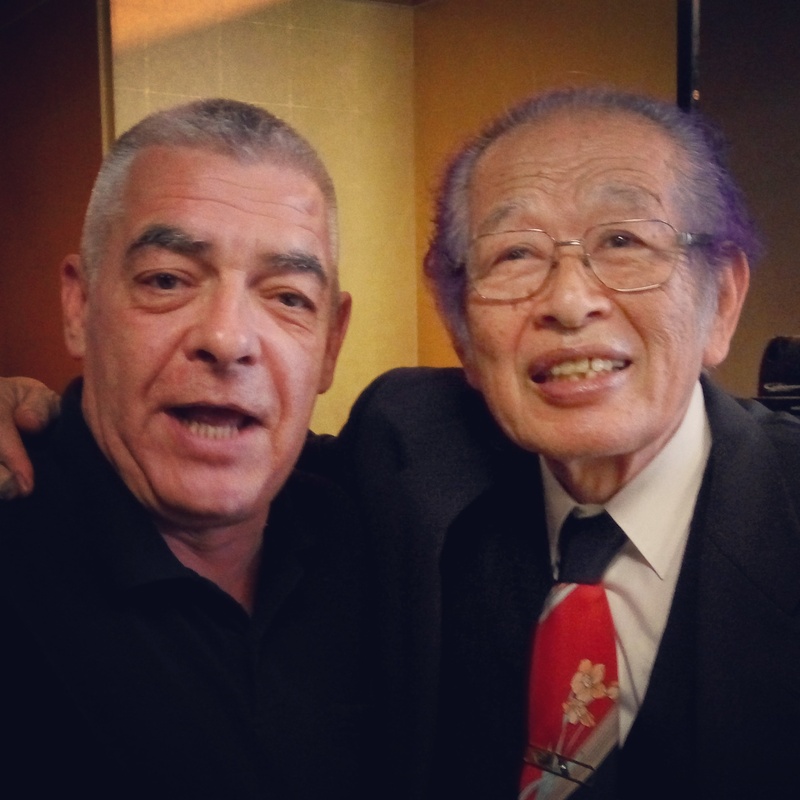 Soke says he's not teaching technique anymore. He told us to have this control of あも一寸の玉 虫 amo issun no tama mushi. In a real confrontation, this "amo" is very important. "You have to be able to not do a technique yet have it happen anyway. This is the theme for the 15 dans this year." One of the ways he does this is kukan no コントロール kontorooru… to control the kukan or use the kukan to control. But here is a warning: Any method you use to try to do that will probably not work! That is the mystery of this strategy. Since I cannot possibly share everything I am experiencing here in Japan in just one article, I will write a series of articles. 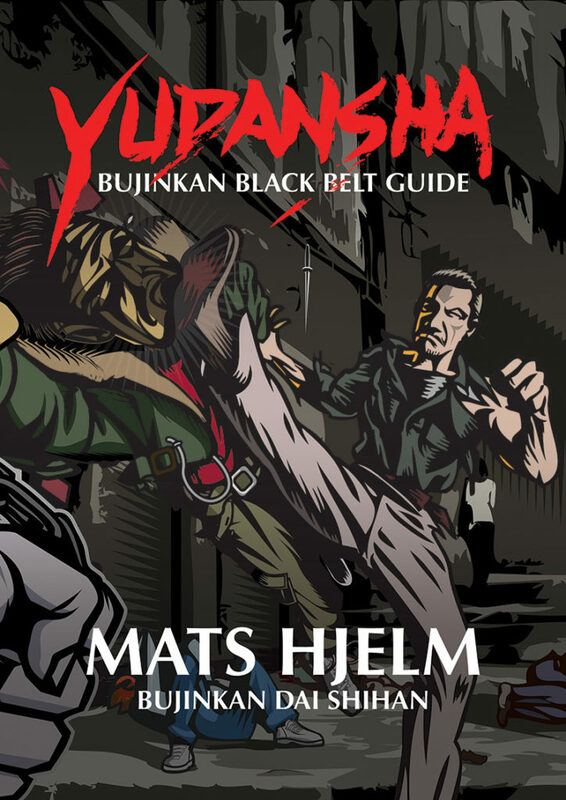 Maybe I will call them Bujinkan strategies of control. If you want to receive all of them, make sure to subscribe here. When I attacked Hatsumi Sensei with the knife, he asked me to share the feeling I got from him. In that moment it was overwhelming, so I couldn't say much except that his smile made me drop to the mat. But now that I've had some days to consider what happened, my feeling is that he used one of the strategies I will write about next. 次次次… The next one is the best one!